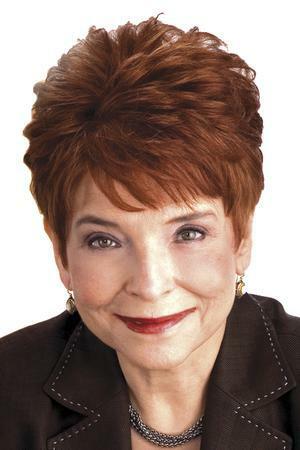 Judy Baar Topinka, who died of a stroke last week, was no stranger to the dizzying world of Illinois politics. The state comptroller had also been state treasurer, served in the legislature and lost a race for governor to Rod Blagojevich. So it's easy to imagine that Topinka would not be surprised at the ongoing furor and partisan divide over how to replace her. It was just Wednesday that Gov. Pat Quinn praised Topinka at her memorial service, saying "she's done so much for all the people of Illinois. And I think there's a hole in the hearts of the people of our state." Quinn's soon-to-be successor, Republican Bruce Rauner, did the same. "Judy was all about working together and solving problems, and I loved her for it," he said. "And I bet 'ya right now Judy's up in heaven, and she's looking down on us and smiling, that we're all here - all different persuasions, all backgrounds, all political parties." They may have put aside their differences for a day, but even at the time, Quinn and Rauner were in a tangle over what to do next. Since, things have only gotten more tense. Topinka died with weeks left in her current term. 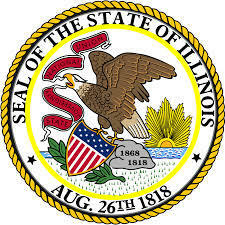 The state constitution is pretty clear the governor -- that'd be Quinn -- gets to appoint someone to fill out the remainder. Here's where it gets complicated. This fall, Topinka was elected to another, four year term which would have begun in mid-January. She'd have been sworn in minutes after Rauner's inauguration on Jan. 12. So: does Quinn's pick get to stay comptroller? Or does Rauner get to appoint someone for that new term once he's governor? Illinois' chief legal expert in these matters - the Attorney General - has weighed in, though her opinion is not binding. Lisa Madigan says there are two appointments to be made; a short one by Quinn, a long one by Rauner. But Madigan didn't leave it at that. She also offered a recommendation, that for the sake of democracy, the next time Illinois has a statewide election, it should add a special, one-time contest for comptroller. That way, Rauner's appointee -- someone who wasn't chosen by voters -- wouldn't hold office for four whole years. Re-enter Pat Quinn. The governor issued a proclamation, calling legislators back to Springfield on January 8th to vote on that idea. He says the "most fitting course of action following this tragedy is to empower the people of the state." Republicans, like House Minority Leader Jim Durkin, suggest a different motive is at play: Democrats' greed. "They want everything. And they want to change the law to give them the opportunity to win back the seat much earlier than they should have to," Durkin said (Republicans won only two statewide offices in November: Rauner for governor and Topinka for comptroller). "You know, I think the Democrats like their chances. They look at 2016, which you could possibly have a Hillary Clinton on the ballot, very popular in Illinois, and they're going to want to take the seat." Of course, the opposite is true too: Republicans are fighting so hard against a special election because they want to hold onto the office. Rauner was asked earlier this week about the prospect of a special election. His answer then was concise: "There's no reason that that should only have to be a two-year term. It's a four-year term, and we see no reason why it should have to be anything other than that." In reacting to Quinn's latest action, Rauner's position went deeper. His spokesman says such a law would be a major change, and it shouldn't be rushed through. And, he says, a law establishing a special election could be unconstitutional, and result in expensive litigation. Not to mention the uncertainty the whole succession battle is creating. After all, a comptroller has a job to do. "The Comptroller's responsibility is to pay bills," Durkin said. "A lot of vendors who still want to work with the state of Illinois have budgets to meet, and they have fiscal years that finish at the end of the year. I would hope that we'd have somebody in there who can go about the orderly business that is necessary in that office." So far, no word from either Quinn or Rauner about who each would select to do that work. In any event, legislators would need give their approval for a special election. Democrats have veto-proof majorities in the General Assembly. The Senate President, John Cullerton, supports the idea, so it's likely to succeed there. But in the House, Speaker Michael Madigan has withheld his backing. "The Speaker thinks it's an executive branch manner. And he's hopeful that the governor and the governor-elect will work together on a sensible solution," Madigan's spokesman, Steve Brown, said. Other ideas have been brought into the mix. Namely, that the offices of treasurer and comptroller be combined. There have been attempts to merge the two before, but they've always stalled. That's expected to be the case again. It'd take more than a change in law; it'd take amending the constitution. If you're thinking that the General Assembly could take care of other, unfinished businesses when they're back on January 8th -- say, the budget, or a minimum wage hike -- that won't be the case. A special session, by law, is limited to one specific purpose. In this case, it's the comptroller's election.Quinn or legislative leaders would have to call another special session to deal with anything else. Though Durkin says Quinn's calling legislators back to Springfield is a waste of time and money, he says he respects the office of governor and its powers enough that he'll show up. A new General Assembly gets underway Jan. 14. Copyright 2014 WUIS-FM. To see more, visit http://www.wuis.org/. State of Illinois officials from both political parties remembered State Comptroller Judy Baar Topinka Wednesday. The clock is ticking as state leaders face a dilemma in how to replace Illinois Comptroller Judy Baar Topinka in her current and future terms. 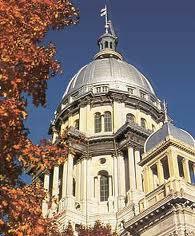 Illinois Public Radio's Bill Wheelhouse reports on replacement process for State Comptroller. With the death of Illinois Comptroller Judy Baar Topinka, it would seem that the next step is for the Governor to appoint a successor.